A stylish candle holder from Slaneyside. 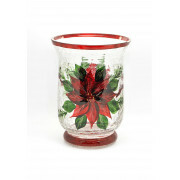 This clear glass candle holder has a beautiful red poinsettia flower painted on the glass with green leaves. A stylish candle holder from Slaneyside. 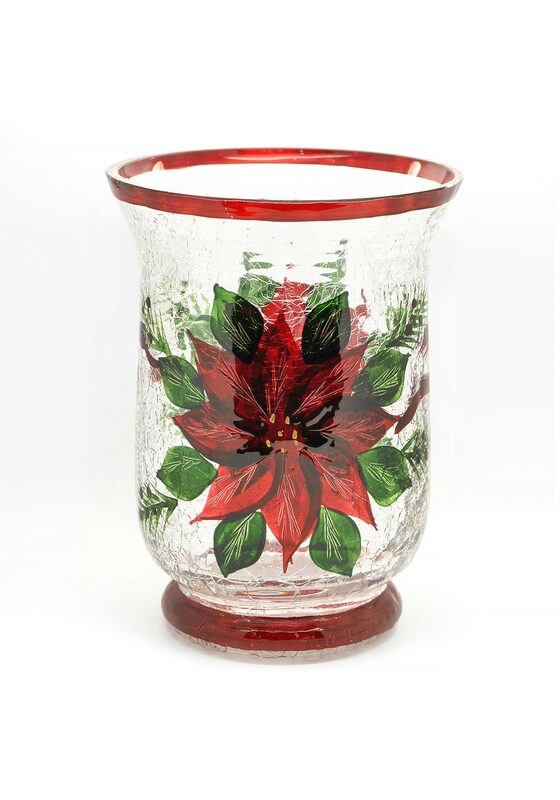 This clear glass candle holder has a beautiful red poinsettia flower painted on the glass with green leaves. The top and bottom of this candle holder is trimmed with red to compliment the colour in the flower.